Yamanoi (watercolour) "Flowing River in Valley Forest" - Watercolour - Chinese and Japanese woodblock prints for sale, silkscreen, scrolls, watercolor, lithographs. 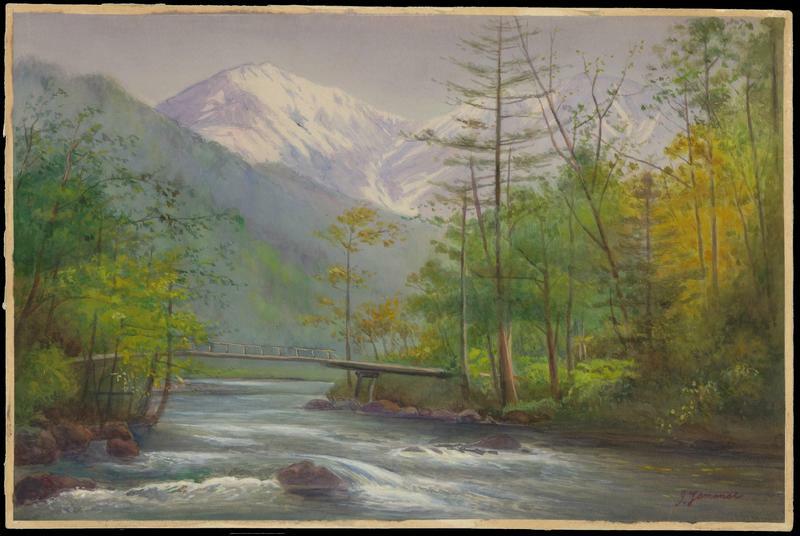 Artwork Details for Yamanoi (watercolour) "Flowing River in Valley Forest"
Notes: Signature 'I. Yamanoi' at lower right.